What Causes Bubble Feeling in Chest Left Side? A reader complains about a bubble feeling in chest left side that is really not causing pain but discomfort. That may seem strange, but this may be related to other symptoms, which other people describe like “it feels like bubbles in my chest” or “gurgling upper left abdomen.” These vague symptoms may be due to a number of things, which are discussed below. A bubble feeling in chest left side is often caused by acid reflux, a condition that causes heartburn or a burning sensation in the chest. A muscular valve called lower esophageal sphincter is located in the area where food enters your stomach from the esophagus. This valve normally closes after food passes to the stomach. However, if it opens or does not close adequately, stomach acids can move up into the esophagus. The acid reflux can also cause a gurgling upper left abdomen, which is characteristic of a condition called GERD or gastroesophageal reflux disease. People who complain about a sensation that “feels like bubbles in my chest” may also be suffering from dyspepsia, a term often used to describe symptoms in the upper gut. This includes the esophagus, stomach, and the upper portion of the small intestine or duodenum. It can cause a bubble feeling in chest left side, upper abdominal discomfort or pain, and other symptoms like bloating, belching, nausea, vomiting, and feeling of fullness. These symptoms are also sometimes referred to as indigestion, which tends to come and go. What “feels like bubbles in my chest” could also be due to chronic cholecystitis, a condition that is characterized by inflammation of the gallbladder. You may also experience indigestion, upper abdominal pain, fever, and vomiting. This pain may be increased sharply when inhaling, when the gall bladder touches the diaphragm. Chronic cholecystitis consists of repeated attacks of pain that is associated with the formation of stones in your gallbladder. Gallstones develop when bile substances form into crystal particles, which can be as small as a grain of sand or as big as a golf ball. These gallstones cause irritation, pressure, and may become infected. A pleural effusion is a condition where there is an abnormal presence of fluids around the lung. This can result from various medical conditions, which may require treatment. Pleural effusion sometimes does not cause any symptoms, but when the amount of fluid around the lungs increases symptoms may occur, which include shortness of breath, cough, chest pain when breathing (pleuritic pain), and fever. Irregular, rapid heartbeat due to atrial fibrillation can cause symptoms affecting the left chest. Atrial fibrillation causes the heart's upper chambers (atria) to beat irregularly in a chaotic fashion, which leads to incoordination with the lower chambers (ventricles) of your heart. Symptoms include shortness of breath, palpitations, and weakness. These may come and go, but some people may require treatment since it may lead to formation of blood clots in the heart that can circulate and block blood flow to other organs like the heart and brain. A bubble feeling in chest left side may be due to a collapsed lung, which can occur when air inside the lung escapes into the chest cavity. This can happen after a penetrating chest trauma, a rib fracture, or when a weak spot in the lung causes air to escape. Medical conditions such as infection or lung cancer may be associated. Emergency medical treatment must be sought because this is a life-threatening situation. Airway inflammation and narrowing due to asthma can make it difficult for you to breathe and cause other symptoms like wheezing, cough, and shortness of breath. 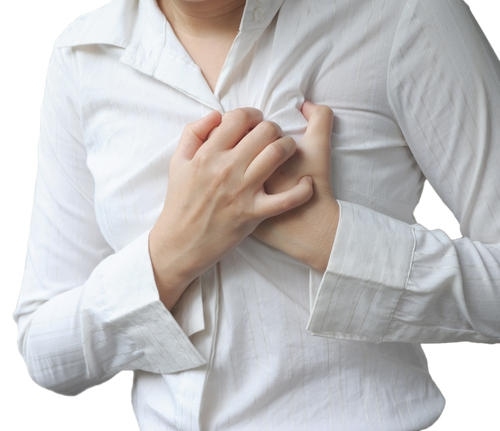 For some people, symptoms like bubble feeling in chest left side are just a minor nuisance. But for others, asthma symptoms can interfere with their daily activities or may lead to life-threatening asthmatic attacks. This long-term, irreversible respiratory disease causes chronic cough with mucus production that occurs for at least three months a year, for at least two years. Chronic bronchitis causes worsening restriction of flow of air in the lungs, which leads to difficulty in breathing and sputum production in your lungs. It is a serious disease that needs ongoing medical treatment. Many patients also develop emphysema, another chronic respiratory disease. A person who has pleurisy might complain about something that “feels like bubbles in my chest.” Pleurisy or pleuritis occurs when the pleura or the moist membrane that surrounds your lungs and forms the inner lining of the chest cavity is inflamed. This condition often makes breathing very painful. It may be associated with pleural effusion, a condition where excess fluids fill the space between the layers of the pleura. Other possible causes of pain, discomfort and bubble feeling in chest left side include other gastrointestinal problems, rib inflammation, angina (chest pain due to heart disease), an acute heart attack, inflammation of the sac surrounding the heart (pericarditis), or inflammation of the heart muscle (myocarditis). Psychological causes like anxiety, stress, and panic attacks are also possible. If your symptoms do not go away after rest, seek medical consultation. It is also best to see a doctor right away if your symptoms seem to be getting worse or if they recur often to get proper diagnosis and treatment.